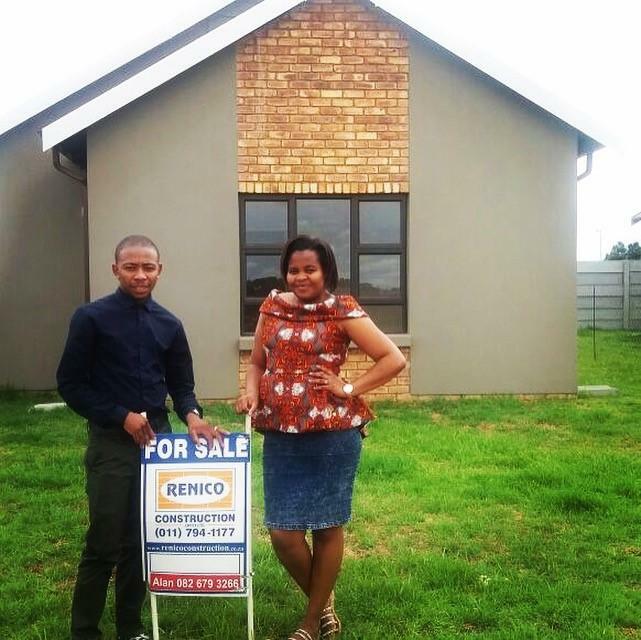 You are here: Renico Construction Latest News Finance You Can Afford to Buy Your Own Home, Thanks To FLISP. You Can Afford to Buy Your Own Home, Thanks To FLISP. First time home buyers can qualify for a government subsidy of up to R121 626. Here's what you need to know about FLISP. Buying your first home may seem like a dream, especially if you're not earning a big salary. While property prices have ballooned over the years, the idea of being able to buy your dream home has floated away for many of us too. But that's changing, and it's all thanks to FLISP. A government-backed initiative that seeks to promote and secure first-time home ownership for lower income earners in South Africa, FLISP makes it possible for people like you to own the home you want. The Finance Linked Individual Subsidy Programme (FLISP) was introduced by the Department of Human Settlements in 2012 and, in July 2018, the applicable income threshold for the programme was increased. FLISP provides lower and medium income earners with a substantial subsidy, that can be used to purchase property. Subject to pre-approval of a home loan, FLISP subsidies can be applied for, by any South African family whose household income falls between R3501 and R22000 per month. Previously, the maximum threshold was set at R15000 per month, but thanks to a change in legislation and additional budgetary commitments made by the South African government in July 2018, FLISP is now an option for many more citizens. Applying for a bond to buy your first home can seem a terrifying prospect when you're not a big money earner. The South African government, motivated by its desire to uplift and empower every citizen, created FLISP to enable lower and medium income earners towards claiming their stake in the property market. As a subsidy, FLISP can be used to put down a deposit on your first home, or used to shorten your home loan repayment period, or lower the monthly repayment amounts. It's true: FLISP is like being given free money, just so you can afford to buy your first home. You don't need to pay back your FLISP subsidy at any time. ● You must be a South African citizen, over the age of 18, and you must be married, cohabiting, or be a single person with a dependent. FLISP aims to enable families to own their own homes. ● Your bank or financial institution must have already approved you for a home loan. You can't apply for a FLISP subsidy from government, until you have been approved for a home loan. Of course, applying for a home loan means you'll need to be credit checked, and agree to all the terms and conditions as set out by your financial institution. ● Your household income will be analysed in your application for a FLISP subsidy. Your total household income must not exceed R22000 per month. ● You cannot have previously benefited from a housing subsidy or government housing programme. For example, if you live in a RDP house, you cannot receive a FLISP subsidy. ● FLISP is a one-time payment subsidy. You cannot apply for a second FLISP subsidy when you want to purchase a second home. ● R3501 and R3700, you can apply for a FLISP subsidy of up to R121626. ● R7101 and R7300, you can apply for a FLISP subsidy of up to R102893. ● R21801 and R22000, you can apply for a FLISP subsidy of up to R27960. As FLISP is a government-backed initiative, the Department of Human Settlement administers and processes applications for a FLISP subsidy. Once you've been pre-approved for a home loan, apply for a FLISP subsidy at your local Department of Human Settlement office, or call the National Housing Finance Corporation on 0860 011 011.